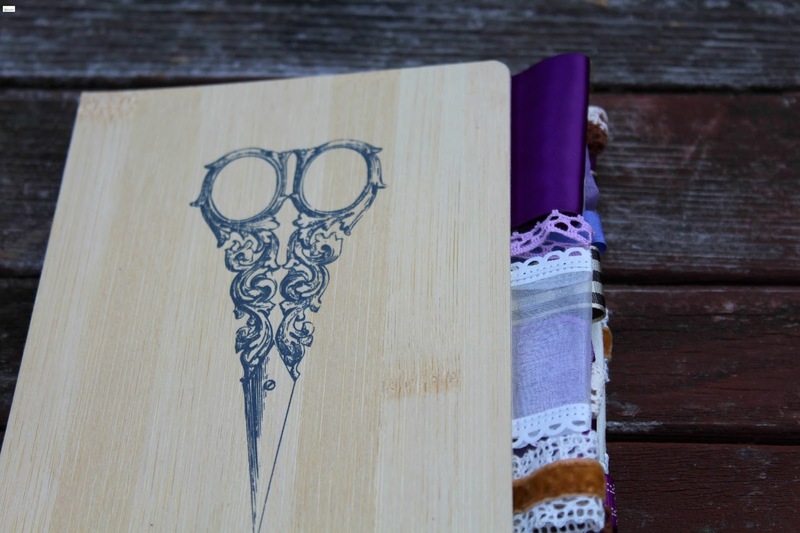 Sewing Scissors Bamboo Altered Journal and a Shop Update! When I saw this journal I immediately fell in love with the "vintage" sweetness of it and I knew immediately that I had to create an altered version for the shop. Y'all know how much I love crafts and creativity and this journal just brought a smile to my face. 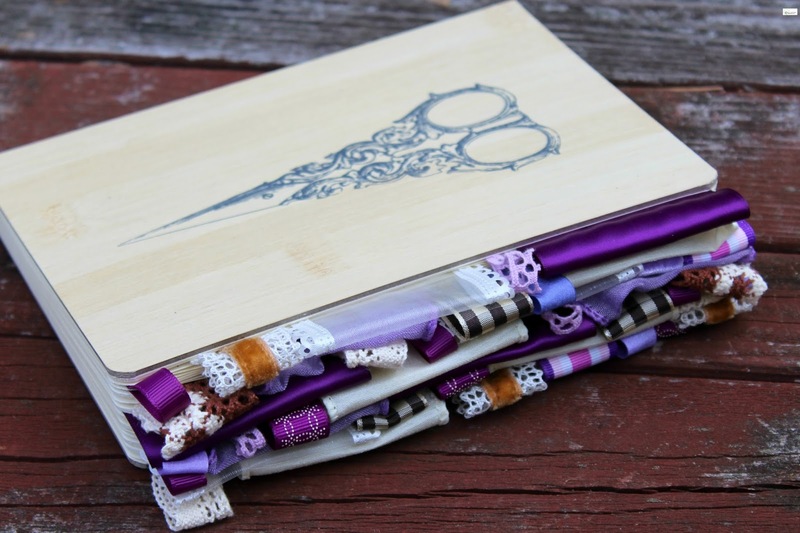 This Sewing Scissors Bamboo Altered Journal is approximately 5 and 1/2 by 4 and holds approximately 120 lined sheets. 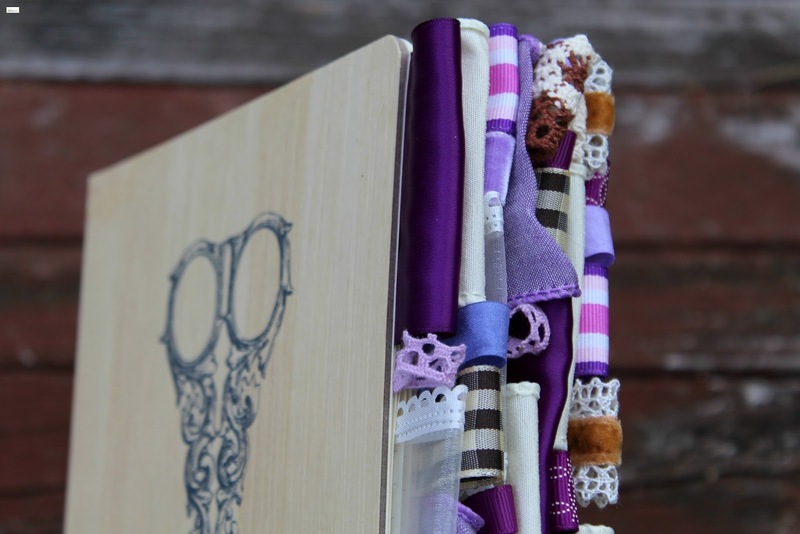 The Sewing Scissors Bamboo Altered Journal has been altered using a variety of purple tones, creams, and browns to create a unique and classic "rich" look. 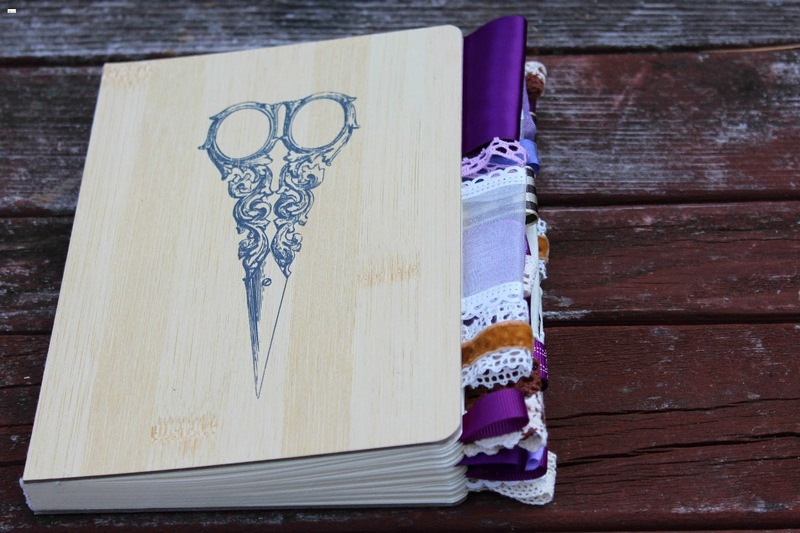 If you are interested in purchasing the Sewing Scissors Bamboo Altered Journal you can find it HERE. 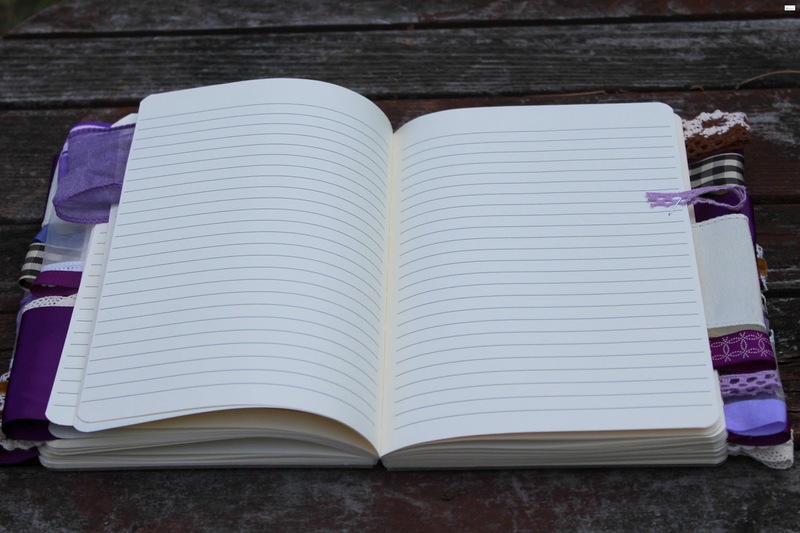 If you are interested in looking at other altered journals that are available in the shop you can find them in the altered journals section HERE. Finally, I want to say a huge thank you for all of the support for my shop this summer. 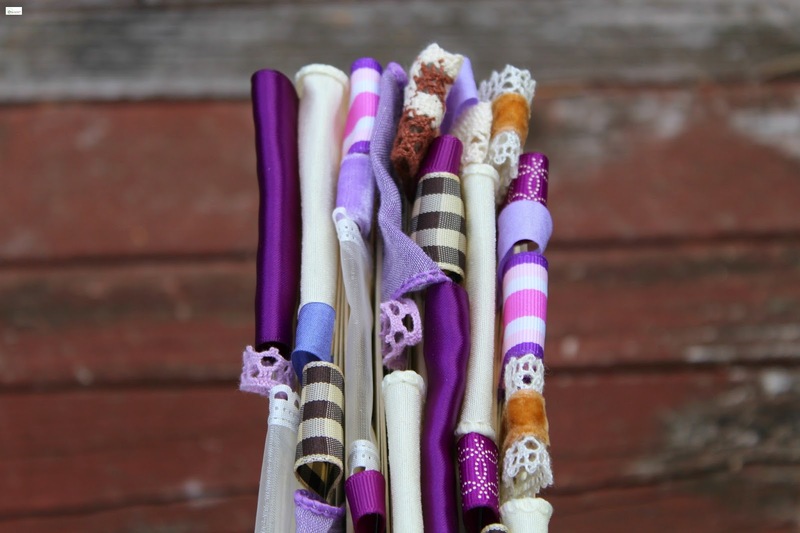 I have been so blessed by all of your orders, your sweet words, your reviews, and your general support for my shop. 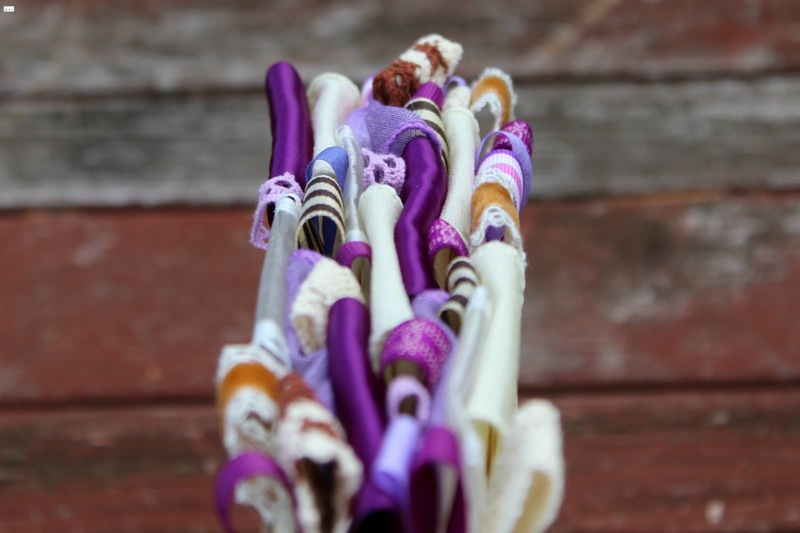 It is hard to believe (as I have mentioned here before) that we are coming to the end of the summer months which means that I will be closing the shop for a couple of weeks as we pack to move out of our cabin to my grandmother's home for the fall and winter. The shop will be closed for three weeks, starting on Wednesday, September 20th and will re-open on Wednesday, October 11th. Don't delay in stocking up on any items that you will want in the next few days before the shop will take the short break! If you have any questions please feel free to email me or contact me through the shop!